These earrings are currently available in my Etsy shop! These earrings have been created with rare pastel colors of jewelry quality sea glass with sterling silver findings. The sea horse, star fish and dragonfly jewelry charms are perfect for summertime! These would be a perfect gift for you or someone special! 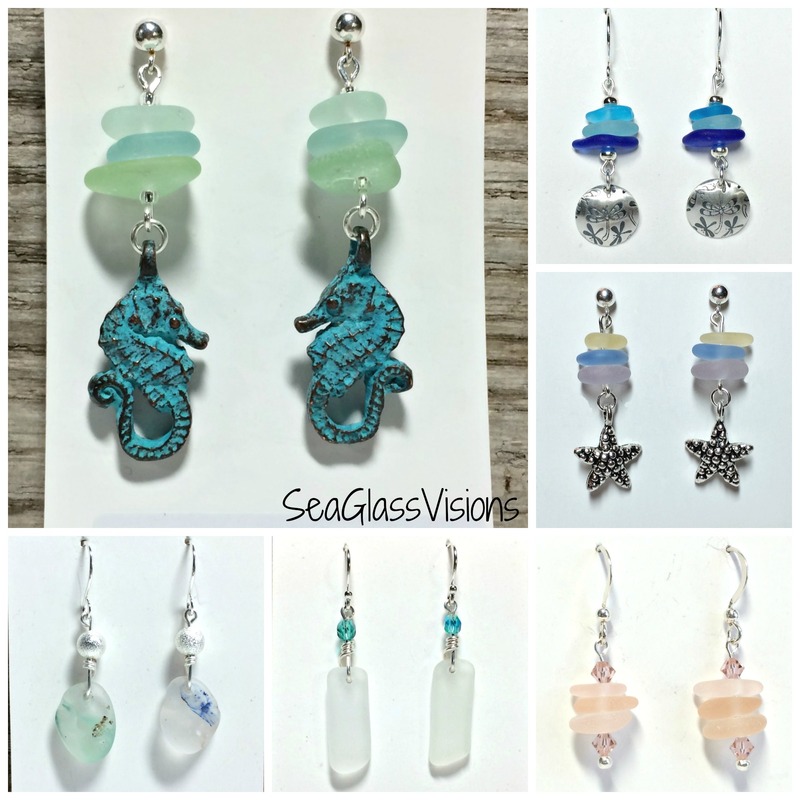 Some of the fabulous sea glass & sterling earrings available in my Etsy shop!